We’ve seen the durian ice-cream, the durian crepes and even the durian cakes, but that’s just not enough for Dennis Chan, a fruit seller at Jalan Gaya Food Night Market, also known as Api-Api Food Market, Kota Kinabalu, who wanted to sell something innovative. 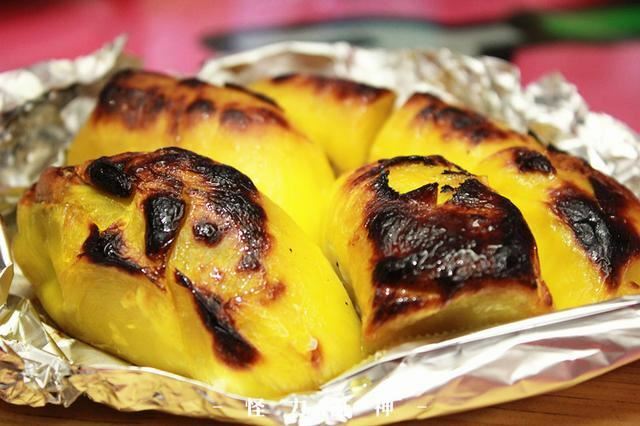 He took durians up a notch by coming up with this new delicacy favoured by tourists from China, South Korea and even some of our local durian lovers; THE Roasted Durian! 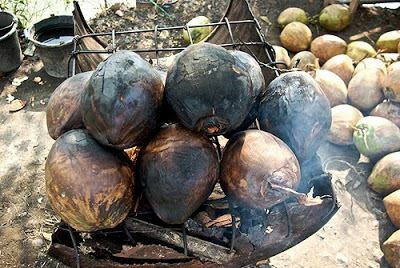 While some of us may wonder about the taste of this delicacy, Dennis said that the idea was inspired from the roasted young coconut sold in Jalan Sepanggar, Menggatal. It’s not an easy process as the durians are wrapped in aluminum foil and roasted for 45 minutes over charcoal. 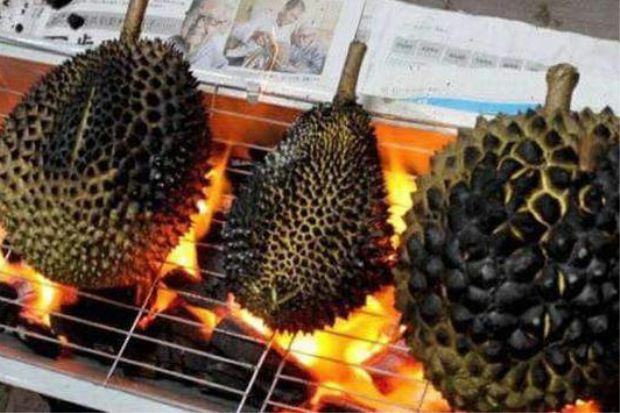 The roasted durians are then sold at RM60 each and can be eaten once it cools down. Running the Borneo Fruits Garden in Papar, Dennis also welcomes the public, especially tourists, to visit his orchard and try local fruits like durians and rambutans. If you’re curious to know how it tastes like, you can go to the market from 6 pm until 2 am on Fridays and Saturdays! Let us know if you enjoy it!